Prime Minister Justin Trudeau says "we're down to a point where there is a good deal on the table." 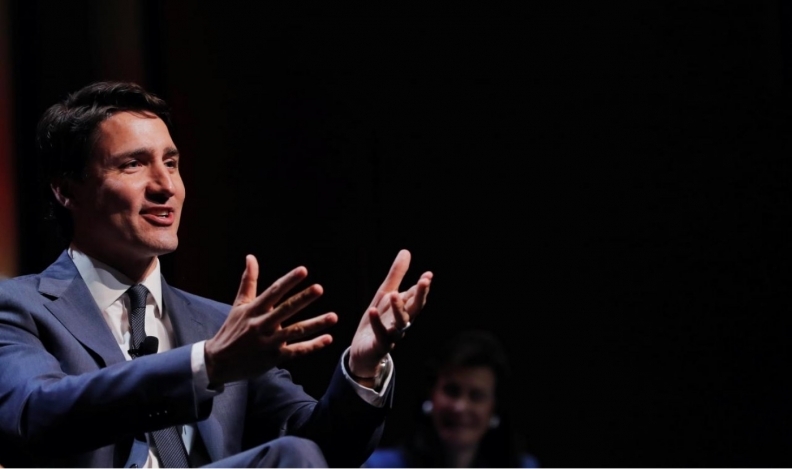 NEW YORK/MEXICO CITY— Prime Minister Justin Trudeau on Thursday said he felt “positive” about talks to rework NAFTA, while a top Mexican official held out hope a deal could be hammered out by the end of May. U.S. officials say the talks need to wrap up very soon to give the current Congress time to vote on a final text for a revamped North American Free Trade Agreement. “We’ve worked with them (the Americans) on a whole bunch of issues, including this morning in Washington where we have some of our top folks continuing the conversations. To be honest, we are down to a point where there is a good deal on the table,” Trudeau told the Economic Club of New York. “It’s right down to the last conversations ... I’m feeling positive about this, but it won’t be done until it’s done and people are working very, very hard on it right now,” he added. “If the conditions are defined by next week, nothing stands in the way of closing a deal by the end of May,” said Guajardo. U.S. House Speaker Paul Ryan had said that the Republican-controlled Congress would need to be notified of a new deal by Thursday to give lawmakers a chance to approve it before a newly elected Congress takes over in January. “The wiggle room would be at the ITC (U.S. International Trade Commission). The question is, can the ITC constrict their time that they would take to process and that’s where the wiggle room would be,” said Ryan. Canada's ambassador to Washington, David MacNaughton, says high-level conversations are taking place looking at what's next for the negotiations. Any agreement will have to be voted on by a future U.S. Congress after the midterm elections and may need the assent of Mexico's next president. But MacNaughton says he believes it's still possible and desirable to achieve an agreement soon. "We're pretty close," he said. "There are still some tough issues to deal with, but do you really want to kick this down the road and miss the opportunity to ... pull all that good work that's been done together and get something formally done?" The U.S. objective in these talks was to reduce its trade deficit, he said. "Eighty per cent of that deficit has to do with autos. We're that close on autos," he said, illustrating with a thumb and index finger held close together. "If you want to get this over the finish line, we're a long way towards getting it there. So let's wrap it up and get it done."